A million years ago, okay maybe not that long, but it sure feels like it some days, I worked for Bob's Big Boy during college. It was the 80's when they could be found in every town during the iconic days before Marriott took over and ruined them. 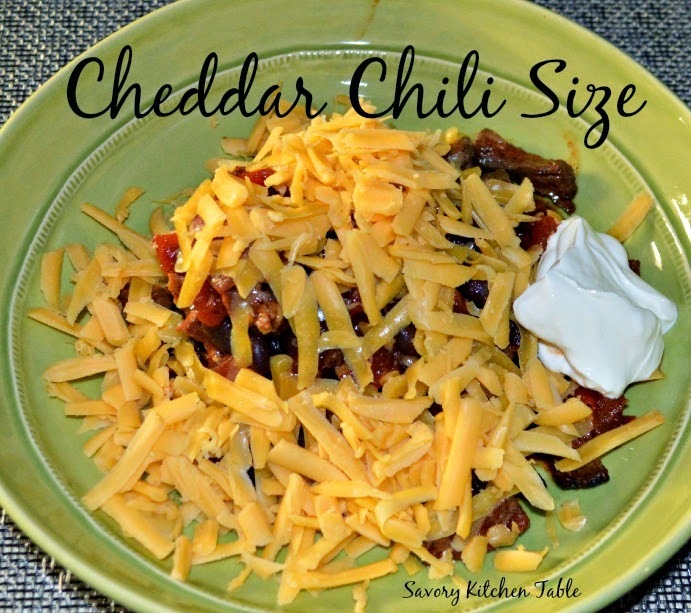 We used to have a menu item called Chili Sizes that to be honest turned my stomach at the time, Recently though I was thinking up new ideas for dinner and my good ideas always come in the shower when I have no pen and paper so was glad this one was easy to remember. 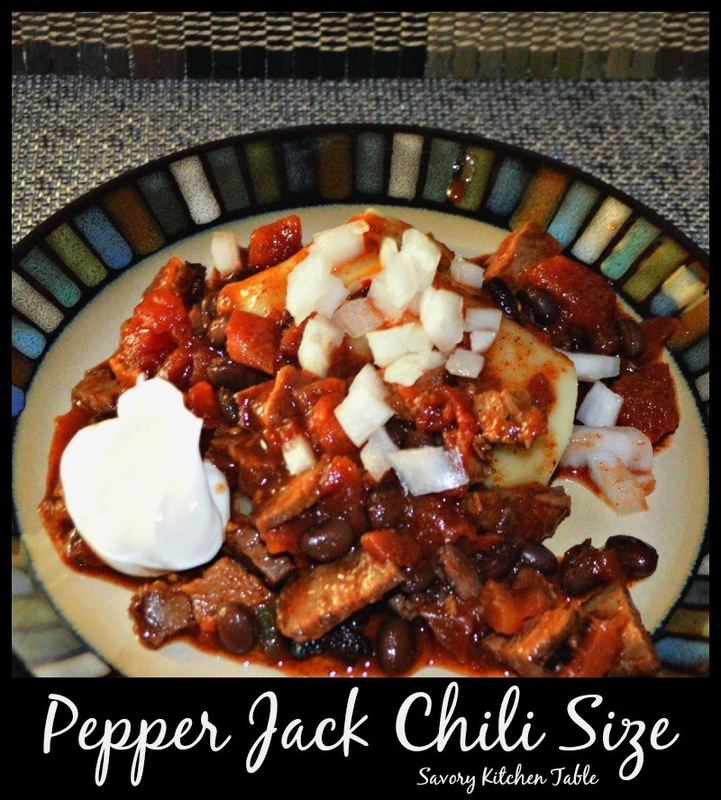 I had some left over Black Bean Chili so the idea just fell into place. 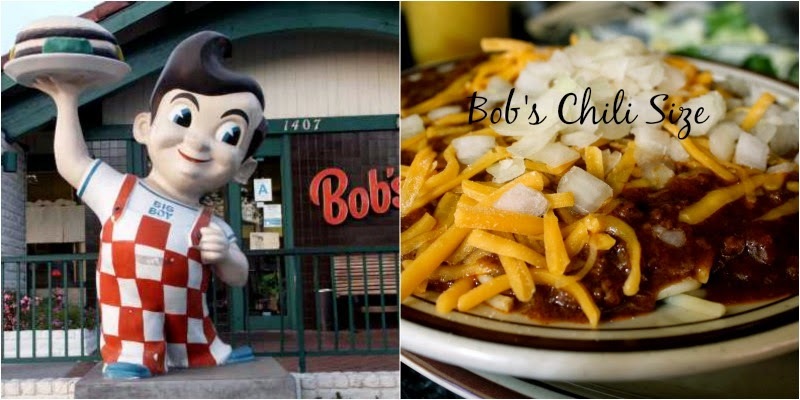 Their Chili Size was a half pound flame broiled burger, pinto beans, chili and cheese. Served with a dinner salad. Mine is a quarter pound flame broiled burger with Black Bean chili and pepper jack or cheddar cheese and a dollop of sour cream.